Police investigating a DNA link in the case of murdered schoolgirl Milly Dowler say they are expecting test results by the end of the week. Surrey Police revealed on Thursday they had matched a "direct-hit" with DNA found at the scene of a church theft in Sunderland and samples found on an item of Milly's clothing. Officers took DNA samples from 46 male worshippers and people linked to the church last month. They were sent away to the Forensic Science Service for testing to identify the sample, which did not belong to those responsible for the burglary. A police spokesman said detectives were expecting to know by Friday the identity of the person who supplied to sample. He said: "We have sent away these DNA tests for analysis with the sample we have got and are expecting the results back by the end of this week. "We will then be in a position to know whether we have a match or whether we need to make further inquiries in Sunderland. "We will not go back until we have got the results of the analysis, and if we do get a hit we will go back to speak to the individual concerned." 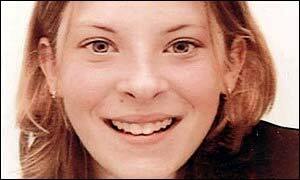 The matching DNA was found on a coffee cup after a theft at St Paul's Church in Ryhope, on 31 October 2002. The item of clothing belonging to Milly was a "historical" item from the teenager's bedroom, and not found at the murder scene. The Rev David Meakin, of St Paul's Church, said: "It is the sort of story that is still being talked about in the village, but I don't think it is being talked about in fear. "I suppose people are just curious." Milly disappeared while walking home from school in Walton-on-Thames on 21 March last year.